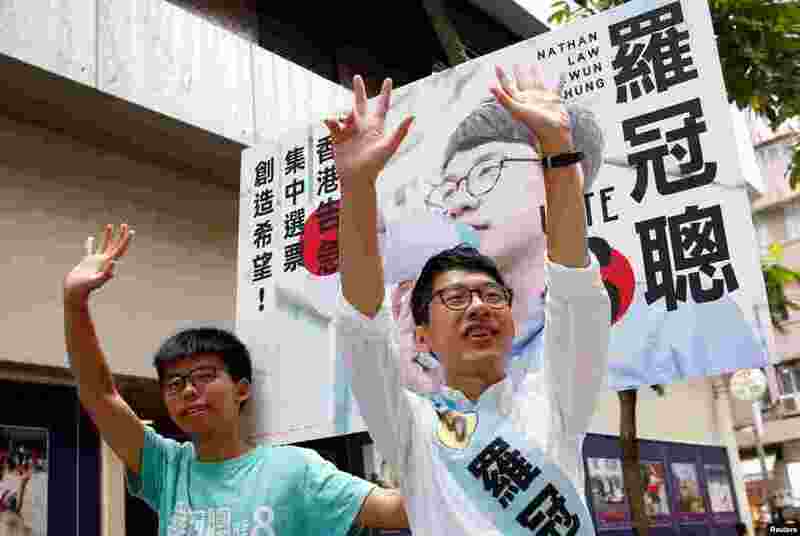 1 Nathan Law, (R), candidate from Demosisto and student activist Joshua Wong greet supporters on election day for the Legislative Council in Hong Kong, China. 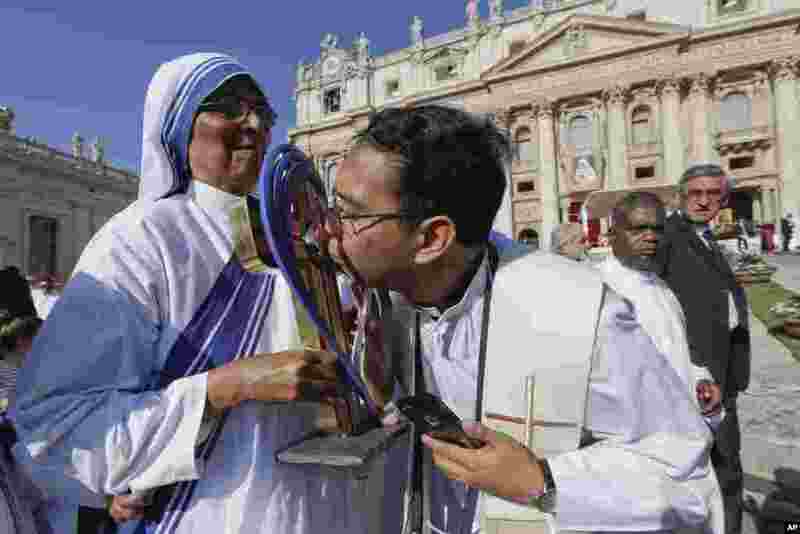 2 A priest kisses the relics of Mother Teresa prior to the start of a Mass celebrated by Pope Francis where she will be canonized in St. Peter's Square, at the Vatican. Thousands of pilgrims thronged to St. Peter's Square for the canonization of Mother Teresa, the tiny nun who cared for the world's most unwanted and became the icon of a Catholic Church that goes to the peripheries to tend to lost, wounded souls. 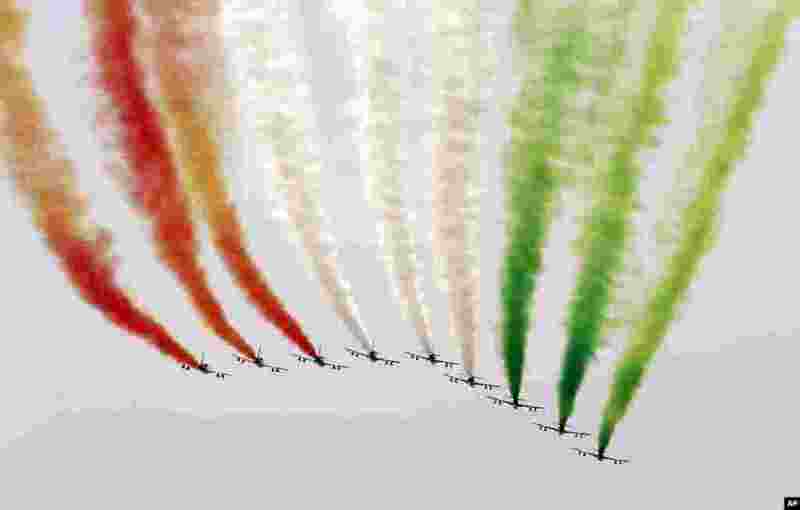 3 The ' Frecce Tricolori ' Italian Air Force acrobatic squad team flies over the Monza racetrack prior to the start of the Italian Formula One Grand Prix.